How time flies....not sure what happened to June, it's gone by in a flash! I hope you managed to enjoy the tennis. I can't quite believe that the Olympics is only a couple of weeks away now, do you still remember the moment we found out we'd won the bid - was that really all that time ago! There's frantic activity in our sleepy little village, as the road cycle race passes straight through, so this weekend the workmen have been out in force strimming down all the grass verges...though with the way things are going they'll need to be back next week to do it again! So, back to the crafting - this is a scrapbook page of one of my friends son and daughter-in-law on their wedding day (in case you hadn't guessed ;-)). I've used the Twitterpated DSP along with some of the older punches which I find so very useful for making little accents to add here and there. I've also used some embossing folders (not quite all of them but I've had a good try :-))! My photography skills don't really do the page justice as IRL it looks much more fresh and vibrant. I'll seriously have to work on that. Hope to be back with some more soon. Thanks for taking time to stop by and leave me a comment - I really appreciate it. Oh I can't believe I've missed this, its absolutely gorgeous. I have seen this in real life and I have to say it's stunning. Loved this at training I could have looked at it all day. You are very talented Nikki! 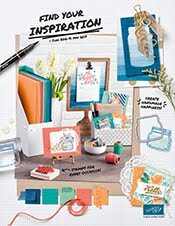 Starting your own party plan business. I'm a single working mum with one lovely grown up son. 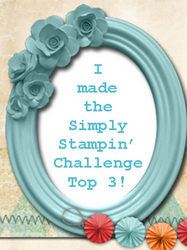 I've been an Independent Stampin' Up! Demonstrator for nearly 3 years and have met some lovely people as a result of being a demonstrator. All Images © 1990 – 2015 Stampin’ Up!